What energy change takes place when a battery is connected to a light bulb? Which is the correct symbol for potential difference? Which one of the following is the unit of resistance? Which one of the following graphs shows the relationship between the potential difference (voltage) and current for a resistor in a circuit at a constant temperature? Name the measuring instruments X and Y in the circuit shown. The potential difference across a resistance of 2 ohms in a circuit is 12 volts. What is the value of the current passing through the resistance? What is the resistance of a piece of wire when the current flowing through it is 0.12 amps and the potential difference across is 12 volts? What is the potential difference across a 50 ohm resistor when the current passing through it is 0.1 amps? 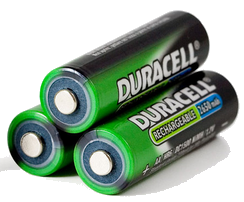 A 60 ohm resistance is placed across a 12 volt battery. 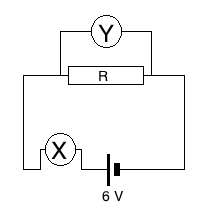 If an ammeter is placed in the circuit as shown, what current will it read? Which one of the following energy changes occurs in a resistor? Using the triangle shown, what is the expression used for calculating the current flowing in a circuit? 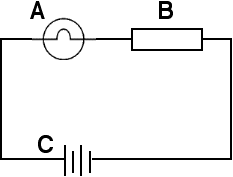 Which one of the following symbols is that for the variable resistor? The graph shown is that for voltage against current for a length of resistance wire. What is the resistance of the wire? Electricity is caused by a flow of protons. Plastic is a good conductor. An insulator does not allow charges to pass through it. Electrons are not free to move from atom to atom in insulators. A conductor allows electric charge to pass through it. When a switch is closed in a circuit, no current flows. An electric circuit is a complete loop around which a current can flow. A switch is a device for turning on and off an electric current. An electric current is a flow of charge. Which one of the following does not give us an electric current? Which of these voltages would be the most dangerous? The positive and negative terminals of a power supply are colour coded. Which one of the following is a conductor? Which one of these statements is NOT correct? The symbol for potential difference (voltage) is P.
Voltage is measured in volts. 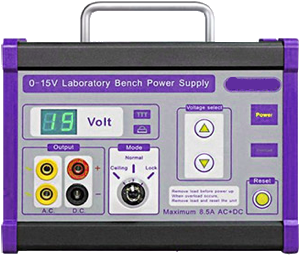 Potential difference is measured with a voltmeter. 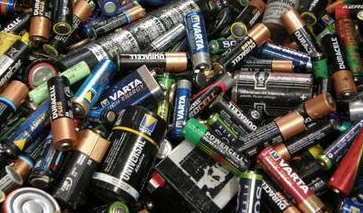 A AAA battery may be tested with a multuimeter. Electric current is measured with a voltmeter. A multimeter can also measure current. The unit of the resistance is the ohm. 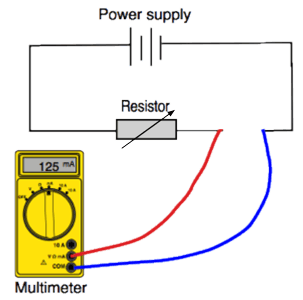 Resistance may be measured using a multimeter. An ohmmeter is used to measure resistance. 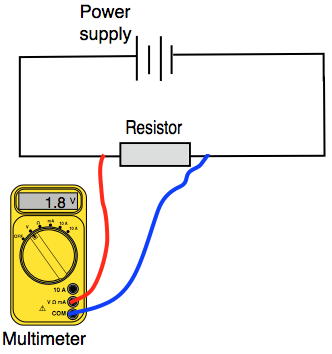 Current is passed through a resistor, and the voltage across the resistor measured using a multimeter. What will happen to the voltage if the current is doubled? There is no change in the voltage. The voltage starts increasing steadily until it goes off the scale of the multimeter. Current is passed through a variable resistor, and the current is measured using an ammeter. The voltage is kept constant. What will happen to the current if the resistance is doubled? There is no change in the current. The current reduces to zero. Which one of the following equations represents Ohm's Law?